This past Saturday night, Will Burns sat watching the SC Cambuur-FC Twente match and he saw a new name on the team sheet – it was ‘Albert Rusnák’. I remember researching the 20-year-old earlier last month when I heard Manchester City was allowing the player to cross the North Sea and head into Leeuwarden on a season-long deal. I discovered that Rusnák played youth football in homeland of Slovakia for MFK Košice before signing for the Citizens in 2010, where he joined the club’s academy on Platt Lane. After approximately three years of youth and reserve-team football, he was farmed out to League One in England, down the road in Oldham to gain some experience. Rusnák made his first senior appearance as a substitute on 31 August 2013 against Tranmere Rovers in a league encounter. Obviously impressing, he did not have to wait long for his first professional start, just three days later, in a Football League Trophy win over Shrewsbury Town. However, later in mid-September, Rusnák’s loan was cut short and he was returned to Manchester after he refused to play for Oldham’s reserve team. On his return to the Etihad, the Daily Mail reported that the head of youth development at the club, Patrick Vieira, ordered Rusnák to go back to Oldham and apologise for his actions. 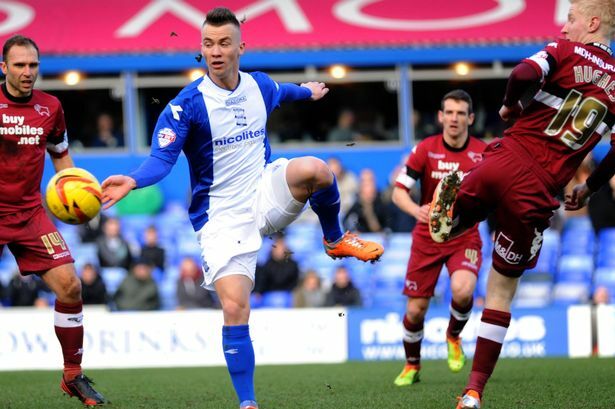 In the January window this year, Rusnák was on his travels again joining Championship side Birmingham City for a month. Manager Lee Clark selected the Slovakian Under-21 international into his starting eleven for the FA Cup defeat to Swansea City. After three starts in the month spell, he returned to City for the remainder the season and played consistently for Man City’s Elite squad. This past Saturday, Rusnák was named to make his debut in Cambuur’s starting line-up and from the kick-off you could see this boy was special. In the opening moments, on the ball, he was a delight to watch. Tremendously creative, pacy with a quick brain, spotting players movement and quickly laying the ball into their feet. Then when things were not working out for his side, he tracked back and with great tenacity, won back the possession and laid the pass off. However, he made a statement after just 13 minutes. Cambuur won a free-kick on the edge of the area; Rusnák stepped up and curled it perfectly into the top corner giving Twente keeper Nick Marsman no chance of stopping. His first game for Cambuur and his first ever goal in professional football. Starting at 40 seconds check out the goal in the video below shot by a Cambuur fan. If the Slovakian continues to play like he did on Saturday night, it will be a happy and productive season for Rusnák and Cambuur. He will gain excellent first-team experience that Karim Rekik achieved last year at PSV, and has now took back to the City of Manchester Stadium to try and win the affections of City boss Manuel Pellegrini. Good luck Albert and good luck Cambuur for the season. You might well see Rekik back at PSV again on loan as he still has further to develop before stepping into the Premier League.